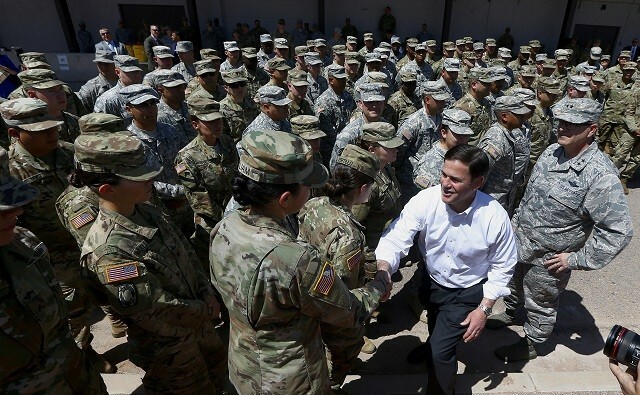 Arizona Governor Doug Ducey says his state’s border with Mexico is not secure and praised President Donald Trump’s call for the deployment of National Guard troops to supplement border security efforts. 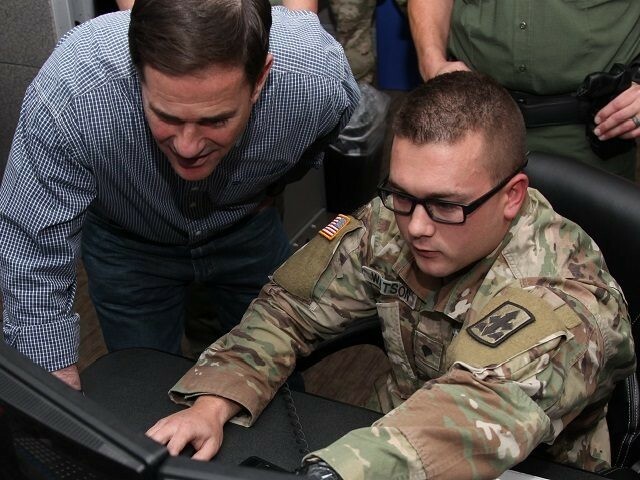 Governor Ducey visited the Arizona guardsmen who are being deployed to the state’s southern border with Mexico. The guardsmen will enable Border Patrol agents to return to the border by carrying out support operations. Following Gov. Ducey’s meeting with guardsmen, the governor received an aerial tour of the border via a Blackhawk helicopter and then attended a security briefing from Border Patrol leaders, according to a statement provided to Breitbart Texas by Arizona National Guard officials. Arizona’s 373-mile border with Mexico is longer than the northern state boundary of Pennsylvania, Ducey stated. Earlier this week, Arizona joined Texas and New Mexico by sending 225 National Guardsmen to the border. Border states are ramping following President Trump’s request for national guard troops to be deployed to the border in response to the surge of migrants crossing the border in March. Border Patrol agents arrested nearly 38,000 in the month of March, an increase of more than 10,000 in a single month and an increase of more than 200 percent from March 2017. California Governor Jerry Brown also announced that his state will be sending 400 National Guardsmen to the border. “Pursuant to your request, the California National Guard will accept federal funding to add approximately 400 Guard members statewide to supplement the staffing of its ongoing program to combat transnational crime,” Governor Brown wrote in a letter to DHS Kristjen Secretary Nielsen and Defense Secretary James Mattis. This program is currently staffed by 250 personnel statewide, including 55 at the California border.